Security Memetics: Who Picked This Location? 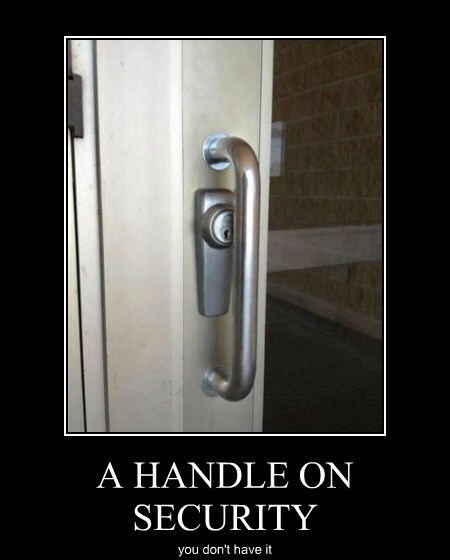 I suspect this was installed by someone who didn't understand how keys work (hard to believe anyone could be that stupid, I know). It's kind of hard to bend keys without breaking them, though I suspect lock picks (especially ad hoc ones) are much easier to bend, so besides making it hard to lock this door it also creates an incentive to learn the skills necessary to bypass locks. Somehow I doubt this was what the people responsible were aiming for.